R C Khuntia, AICC in-charge of Telangana affairs, said seat-sharing will be announced after its approval by Congress chief Rahul Gandhi. 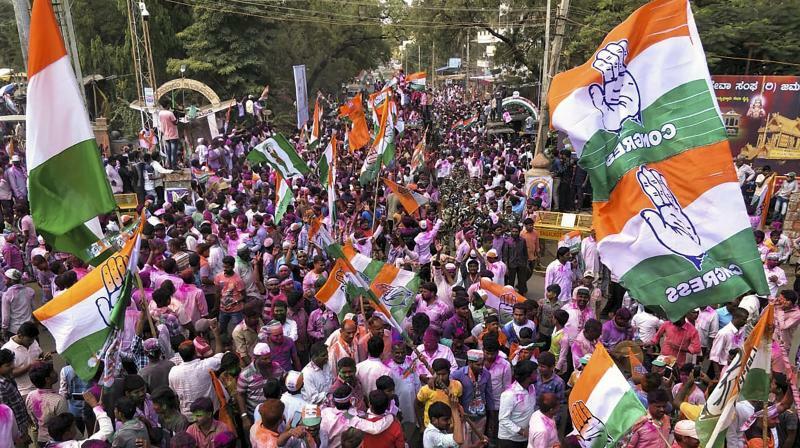 The AICC in-charge of Telangana affairs, R C Khuntia told news agency PTI, "Seat-sharing has been finalised. It will be announced after its approval by Congress President Rahul Gandhi." This ends weeks of negotiations that the Congress had with its electoral partners--the Telugu Desam Party (TDP), Telangana Jana Samithi (TJS) and the Communist Party of India (CPI). "Some adjustment has to happen but we are more worried about the delay (in finalising the seat-sharing formula). Delay is the major issue," he told PTI. The CPI has been offered three seats. "We are going to discuss the offer tomorrow at our state executive meeting and decide about it," CPI General Secretary Suravaram Sudhakar Reddy said. In addition, the party has been offered two MLC seats. He termed the offer "comparatively good in the present circumstances", but said the feeling among the party cadre is that it should have got two more Assembly seats.